Overnight, a second hand account was given of an interview Game Informer magazine scored with Sonic Team’s Takashi Iizuka concerning Sonic the Hedgehog 4. We’re trying to find the article verbatim, but for the moment we are relaying an account from NeoGAFer RobbieNick, who says, among a bunch of other things, that the article includes some new screenshots from the game. Interestingly, Game Informer’s own tease for the upcoming April issue mentions nothing about Sonic 4. Chief among Iizuka’s reveals is a tease for Tails and Knuckles to return not in the first but the second episode, perhaps as playable characters. “Fans will be very pleased with the cast in episode 2,” according to the Iizuka quote cited in the story. Also noteworthy from the account are details that episode one is considered a prologue in the series, and that Sonic will have a new move in-game to join the Spin Dash, Rolling Attack, and homing attack. The article allegedly reveals that classic special stages are returning in Episode 1, and that the game consists of CGI pre-renders and not true 3D polygons. We noted screenshots as a part of this story, and according to RobbieNick‘s account, one shows off a “hornet” badnik, in his words, while a second shows Sonic flying through the air on a handrail/wire setup, in similar fashion to Sonic Advance. A third shows Sonic busting through a wall, with checkered brick debris. If Sonic 4’s return to form is the Sonic experience you have been waiting 16 years for, then we strongly encourage you to try this. These are the new details of Sonic 4 allegedly coming from a pending Game Informer feature that we have learned of secondhand. It may be a while if legitimate and if coming in a future issue, but we will try to get something scanned when possible. If you can help with this endeavor, we would love to hear from you via our News Tips system. 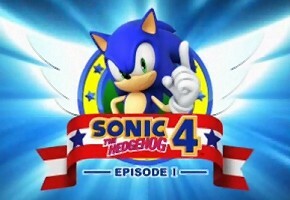 Stay with TSSZ News as we gather more information on Sonic 4 as it develops.